61% of all banking transactions now happen remotely. Make your contact center count. It’s no longer simply about answering phones. As today’s financial institutions struggle to rebuild consumer trust post-recession, smart contact center leaders know the immense value they provide for their organization to create loyal and satisfied customers. But how can they continually prove the contact center’s value to their company? And how can they use key voice of the customer data to unlock critical insights? More importantly, how can they use these insights to drive business success? Download our ebook to learn 9 Strategies to Improve the Customer Experience. 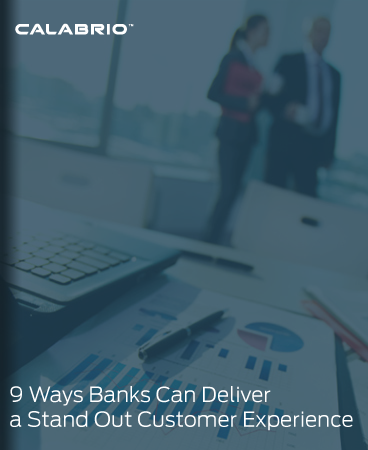 It’s a must-read for any financial or banking institution focused on solving business challenges, improving the customer experience and making the contact center count.